Click Tools in the menu bar to bring up the tools menu. 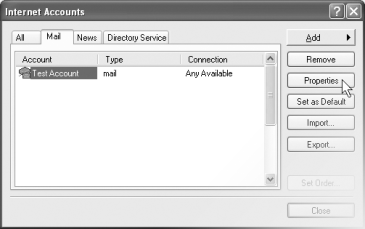 Click Accounts in the tools menu to open the Internet Accounts window. Place a tick in the 'My server requires authentication' box. 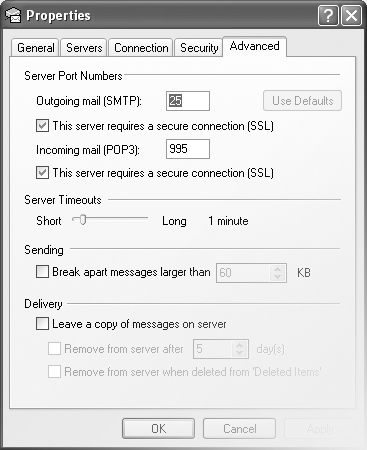 Click Settings to open the Outgoing Mail Server window. 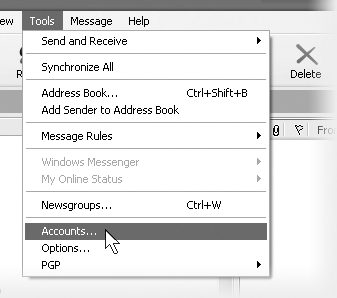 Click the 'Advanced' tab to see the advanced settings. 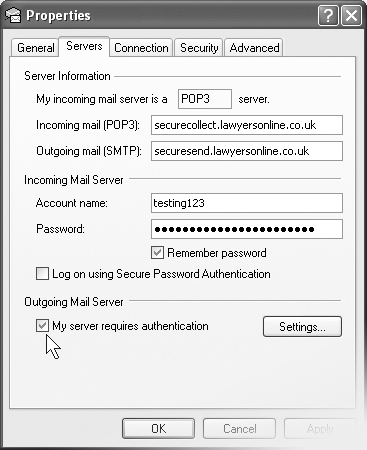 Place a tick both the 'This server requires a secure connection (SSL)' boxes. 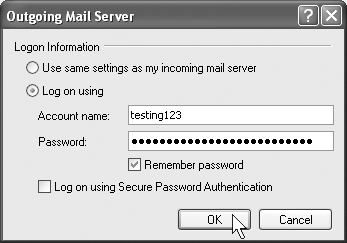 Note, The Incoming mail port number will automatically change, this is normal.